Never let anyone tell you recovery isn’t possible. Never stop fighting. Never stop believing. Recovery IS POSSIBLE. The Autism Diagnostic Observation Schedule (ADOS) is for assessing and diagnosing autism and pervasive developmental disorder (PDD) across ages, developmental levels, and language skills. For more information on ADOS, please click here. 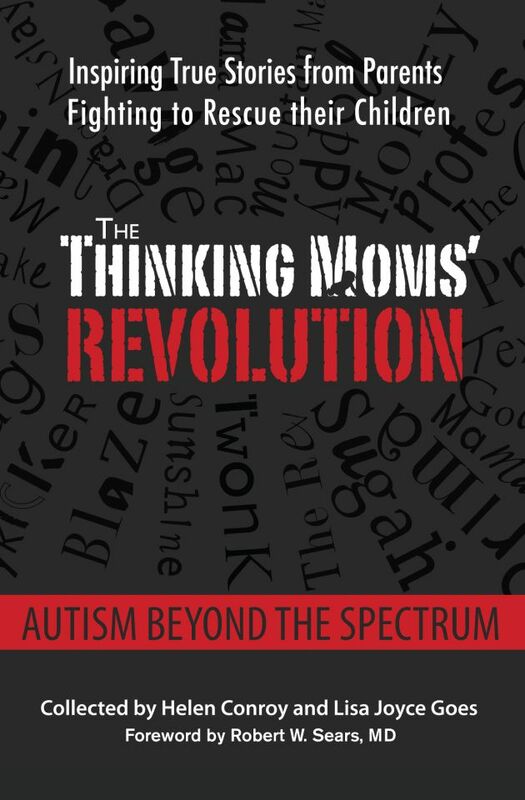 This entry was posted in Blogs by Thinking Moms' Revolution, Mountain Mama TMR and tagged ADOS, autism, diagnosis, recovery. Bookmark the permalink. I love your post and have enjoyed reading it. I work for a company called Arbonne that has a hormone cream called Prolief that would work tremendously for your Fibro. A woman I work with suffered through it for years and it was severe. After using the Prolief her symptoms have gone away. My passion is helping women so if anyone is interested please let me know. My U.S. Patent # 8,343,030 Kindly Forward To Neuro-Imaging Personnel – Thank You! “Harmonic And Overtone Audio Therapy For Autism Spectrum Disorder (ASD) And Regulated Emotional And Psychological Disorders”. 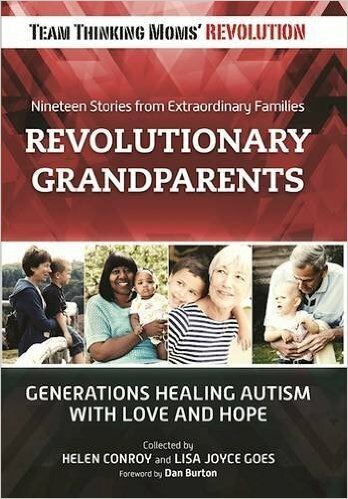 I have spent the last eight years developing a breakthrough technology in the treatment of Autism Spectrum Disorder. A Neuro-Vibrational Processor, the U.S. Patented Sound Therapy CD is the first – and only – technology to apply Deep Brain Stimulation via Prolonged Sympathetic Resonance Vibration. Utilizing the center’s own calibrated medical equipment, in 2008, I conducted an extremely successful clinical trial (non IRB approved), for Hypertension, at Emory Johns Creek Hospital. Every single test-subject’s blood pressure was lowered, some by as much as 49 points. The compelling factor was that, when the systolic number needed adjusting – whether an increase or decrease – but the diastolic number did not, that is exactly what happened, the same for the reverse. This is because of the direct cause-and-effect on the NTS (Nucleus Tractus Solitarius). Data and details form this trial are available upon request. Please understand, on so many technical levels, the magnitude and significance of this historic recording, the first and only one of its kind in existence. Since 1857 (155 years), when Édouard-Léon Scott de Martinville invented the phonautograph – the first device that could record sound waves as they passed through the air – there has never been a recording as “technically pure” as The Sound Therapy CD. The frequencies are accurate to within five decimal places. I have US Trademarked the phrase: “The Perfect Recording Of The Perfect Sound,” because that is, in fact, exactly what has transpired. Second, the pure frequencies from absolutely pitch-perfect tuning forks are incorporated into a tuning known as “Justified” or “Justification” tuning, which, for the very first time in audio and recording history, enables a pure Perfect 5th (P5), also known as an “Open 5th,” in the exact and precise ratio that Pythagoras formulated: [3 to 2] or [1.5 to 1]. This is uncommon and rare in Western Music and Western Civilization, which utilizes “Tempered” Tuning, in which the polar opposite is true, the frequencies are specifically not mathematically divisible. Therefore, the concept and process which I have the US Patent for, which utilizes Sympathetic Resonance Vibration, is not technically, mathematically or scientifically possible. Third, the correct terminology is actually “Prolonged Sympathetic Resonance Vibration.” This is because normally, when a tuning fork vibrates, the frequencies will continue to vibrate for 2-3 minutes. It has taken over eight years, and 15,000 hours, in order to technically, scientifically and mathematically, stretch those frequencies into an entire 60-minute (two 30-minute tracks), recording. In this process, the “integrity” of the harmonics and the overtones – wherein lies the therapeutically medical value – has been maintained. Again, this has never even been attempted before, let alone successfully accomplished, in the entire history of recording and audio-engineering. This is a monumental technical achievement, and these are the specific resulting patented scientific and technical reasons for the many therapeutic benefits consequently derived upon the human brain. This is the only recording which, through this patented process, achieves maximum Neuro-Plasticity, for the very first time. The resulting benefits for maximum Neuro Health are nothing short of astonishing for the Autistic brain. I am the Owner, Chairman and CEO of Sound Therapy International LLC. My web-site address is: http://www.SoundTherapyCD.com Although it reads “under construction,” scroll-down on that home page to see a picture of me with my daughter Farrah and some of the babies that I have worked with. On the upper left-hand corner, the following links are fully operational: (1) Clinical Data – my research. Please be advised that it is not written for the lay person. Also, please scroll-down to read my ‘Bio’. (2) Links & Literature – some newspaper Op-Ed articles that I have authored. (3) Contact Us – E.Mail. These 30-day “before-and-after” fMRI Neuro-Imaging brain scans that I am proposing will not involve typical high costs. For any individual/hospital/medical research facility wishing to be associated with this project, the benefits are extraordinary, because, together, we will be testing the most compelling, cutting-edge scientific technology available in the treatment against Autism Spectrum Disorder, Hypertension, Clinical Depression, Parkinson’s Disease and Alzheimer’s Disease as well as many other types of afflictions, such as Post Traumatic Stress Disorder. The financial benefits for any such facility will prove to be more than worth any initial expense. Surely this deserves serious consideration. Perhaps you know, and/or may very well have access to, research facilities that I do not. I am represented by the law firm of Thomas, Kayden, Horstemeyer and Risley, here in Atlanta, my attorney is Dr. Christopher Linder. In addition, Sound Therapy International LLC’s in-house counsel is Rob Hassett, of Casey Gilson PC. visiting them every day to feed them until they come home. They are over 4 lb. already and will stay for a couple of weeks in the hospital. My daughter is listening to The Sound Therapy CD regularly, twice a day. One of the observations that I noticed with her was, she now answers a phone call. A few days ago, she had a phone conversation with her cousin who lives in NY. She has had very interesting conversations, she answered all of the questions about her, her Mom, and her twin brothers. Before, she was not interested, or did not understand a phone conversation. She used to speak while the other person spoke, or did not respond at all to any questions. She picks-up the headphones and the CD when it is time to listen and asks me to listen with her. I will be in touch with you to update her progress. is proprietary, specific, and unique in its creation. It is the only existing audio technology, which, through Deep Brain Stimulation/Neuro Vibration Processing – specifically and therapeutically combines: (1) Sympathetic Resonance (2) Prolonged Sympathetic Resonance, and (3) Justified/Justification Tuning into a Complex Sound Bath Format, which, because of the limitations of any such existing technology, has previously been unknown. The objections cited in Kearby, Et Al, demonstrate a lack of understanding of these terms and concepts, specifically in its misrepresentations, in that they are, at best, misunderstood, at worse, not even relevant. Any natural/acoustic sound can be described as a combination of sine waves. These “pure” tones never show-up naturally by themselves; instead, they are always combined in a more or less well defined way to form even the simplest sound. Specifically, it is the manner of their distribution in the sound that forms the “color” of that sound, technically known as the “timbre”. This is the sole feature that is the hallmark of the frequencies which differentiate the sound of an acoustic versus an electronic frequency. A harmonic (or a harmonic partial), is any of a set of partials that are whole number multiples of a common fundamental frequency. This set includes the fundamental, which is a whole number multiple of itself (1 times itself). An overtone is any partial, except the lowest. This concept has no special meaning other than to exclude the fundamental, and can unfortunately lead to numbering confusion when comparing overtones to partials, i.e., the first overtone is the second partial. *The terms harmonic, overtone and partial are used with wildly varying degrees of precision in audio terminology. For instance you will frequently see harmonics described/defined as overtones, and vice versa. In addition, you will see the term partial applied in place of the term harmonic, which, although it appears to be correct, is imprecise and non-edifying. Electronic sounds are capable of playing pure frequencies, but with a crucial and critical difference, in that the overtones usually combine frequencies into more complex tones to simulate other instruments, thus, by definition, non-acoustic, thereby omitting the therapeutic properties inherent in the technology that I have demonstrated. The term “Gain” is defined as a measure of the reinforcement of any feedback system. It is the ratio of the intensity – or magnitude – of the output of any given system to its input, referring to a variety of units of measurements. In natural/acoustic reverberation, the “input” (i.e., the frequencies from a tuning fork), are significantly louder than the “output” (the echo). Thus, the system is inherently one of diminishing returns, and eventually fades into silence. Conversely, with electronically generated frequencies, by definition a feedback system with increasing gain, each subsequent output is increased over the previous, thus eventually becoming increasingly unstable. Therefore, when electronic frequencies are reproduced, the harmonics and overtones essentially become fundamentals (see Terminology: harmonic, above), which generate new harmonics and overtones, with characteristics that are inherent not of the original sound, but of the playback system itself. Any kind of noise – including, but not necessarily limited to, electronic frequencies – in the brain is negative. If only people were conscious as to just how inadvertently counter-productive it is to the overall health of the brain. It represents the complete antithesis of sustained healthy growth and Neuro-Plasticity, the brain’s ability to heal itself. Kindly let me know if you have the time and the inclination to be a catalyst for this project. This is the first time in the entire 155 year history of audio engineering that a recording of this accuracy, magnitude and significance has ever been achieved, in order to implement specific time alignments and measurements, including the harmonic and overtone projections of the audio waveforms. Four dozen (48) digital oscillators were employed in order to morph and tune the band-pass filters, which are combined with the 12-band full-parametric High Q Equalizers and then fed into the digital diodes. This models the saturation of the tube phenomena, thus creating more dense harmonics and overtones. The ideal net result, optimum sustained sympathetic resonance, is unlike anything ever previously heard by the human ear. * Four Solid-State Microphones: (1) AKG C414 B-XL ll (2) AKG C414 Limited Edition (3) AKG C1000 S (4) dbx RTA Measurement. * One Vacuum-Tube Microphone: Neumann U-87. * Reflexion Filters: SE Electronics. * Microphone Preamp: Avalon Design Pure Class A AD202. * Mastering Equalizers: Avalon Design AD2077 Dual Mono, Pure Class A. * Stereo Summing Amplifier: Tube-Tech SSA 2B. * Monitors: Genelec Digital Reference System 5.1. * Pro Tools HD Platform: 64-Bit 96khz Resolution, Hot-Swap Fiber Optics SCSl 10k rpm System Driver. is proprietary, specific, and unique in its creation. It is the only existing audio technology, which, through Deep Brain Stimulation, specifically and therapeutically combines: (1) Sympathetic Resonance (2) Prolonged Sympathetic Resonance, and (3) Justified/Justification Tuning into a Complex Sound Bath Format, which, because of the limitations of any such existing technology, has previously been unknown. Could you please explain the pretest and post test. Are they both done in the same evaluation. 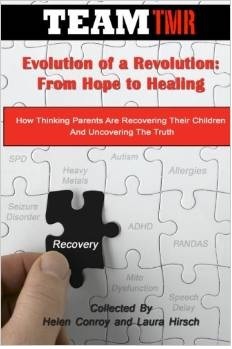 My son had an reevaluation done on January 30, 2013 and they changed his diagnosis from Autism to Cognitive Impairment. However, they did not discuss anything about the testing to me nor whether or not they performed the ADOS, which is required for the reevaluation, according to my DAN doctor. My son sat with a speech pathologist for 1/2 an hour while a Neuropsychologist observed and that was it. They did mention that his socialbility was exceptionally well for being on the spectrum, thus changing the diagnosis. But this is all I know. Any information would be great. Thank you very much and take care. 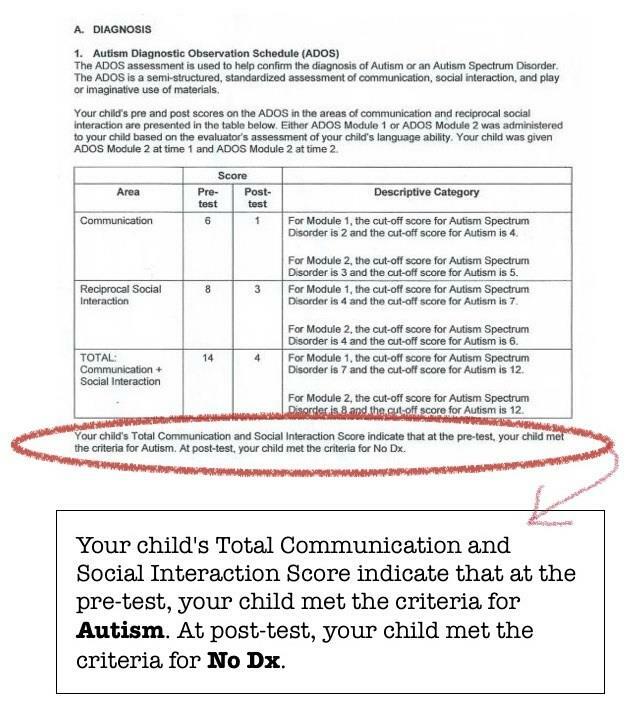 It’s important for you to know that the ADOS is very subjective and I feel should not be the only tool used to assess autism. When I went for my training we had many different people observing the same child and came up with different outcomes. In the manual it states that the examiner’s clinical skill and experience with this tool is extremely important. When using the ADOS I would recommend incorporating other methods (instruments) to help assess your child. I would also call the examiner and have them explain how the ADOS is administered and what each module represents. Remember your the advocate for your child.